We pride ourselves on the service we offer and the expertise of our staff. Our firm specializes in services to small and medium sized businesses including entity selection, tax planning and preparation, bookkeeping, payroll, business valuations, and exit strategies. Over the years, we've successfully grown our firm by taking the trust placed in us by our clients very seriously. We know this is a privilege and we take this responsiblility to heart. We strive to use the experience of our highly trained professionals to help clients maximize profits and minimize tax obligations through proper planning. Your success is our success, and all of us here at Schramm & Lewis, LLC look forward to working together with you to achieve your goals. Our mission is to provide the best in accounting and financial services to our clients by emphasizing education, integrity, and professionalism. 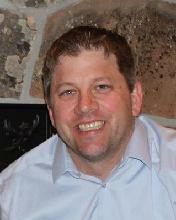 Jason graduated with a degree in Finance from Montana State University and joined Schramm & Company in 2001. In 2012 he earned his Masters of Accountancy from New England College and successfully passed the CPA exam. Since joining our firm Jason has helped streamline our business processes in order to offer the best customer service we can. He is constantly looking for ways to add value to our clients and ensure client satisfaction. He also has vast experience preparing individual, corporate, and partnership tax returns. Please visit his personal website for information regarding financial services. Jason is a Bozeman native, enjoying all the activities the area has to offer with his son Eli and lovely wife, Kellie. 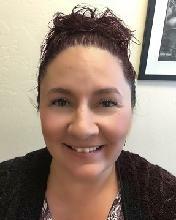 Kellie is the payroll and bookkeeping manager for Schramm & Lewis, LLC. She has over 8 years of experience and is responsible for preparing and over-seeing payroll and all bookkeeping services. Kellie’s love and respect for the environment has helped her advance the office’s paperless transition and has helped spearhead our virtual tax, payroll and bookkeeping services that we provide to clients. As Bozeman natives Kellie, her husband Jason and son Eli enjoy all activities that Montana has to offer. Fishing, camping, and hiking are the family favorites. She is also involved in Pink Gloves Boxing, a women’s boxing club that emphasizes leadership, community, and “revealing the champion within”. A seasoned accountant, Krista has worked in the public accounting sector for eight years. She began her career providing accounting and payroll support as well as financial statement write-up and compilations for a broad area of industries including construction, oil & gas, retail, service-based and non-for-profit industries. Since then, she has expanded her scope of knowledge into income tax preparation for individuals and small-to-medium sized businesses. Her goal is to provide invaluable insight and knowledge to meet each client’s unique objectives. Krista is passionate in taking a proactive approach in assessing clients’ current and prospective financial situations as to reduce tax liability while remaining compliant in the dynamics of tax law and regulation. 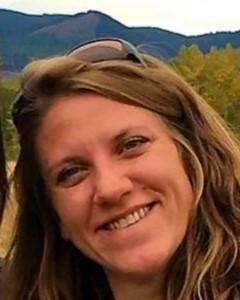 She holds a Bachelor of Science degree in both Accounting and Business Administration and Management and is a licensed Certified Public Accountant in the state of Montana. Outside of her professional work, she loves the outdoors, fitness, musical creativity and spending time with family, friends, and her beloved cats. Craig has recently joined the team. 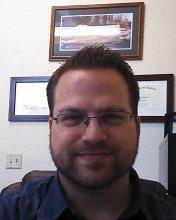 For the last 10 years he has worked in healthcare as a corporate accountant in variety of roles. He has a wealth of experience in business formation, forecasting, budgeting, analysis, business development, and management reporting. He finds great fulfillment in helping others achieve their personal, business, and financial goals. Craig has a degree in Accounting from Montana State University and loves spending time in the outdoors and attending sporting events with is three children Makenzie, Andrew, Samantha and wife Katie.